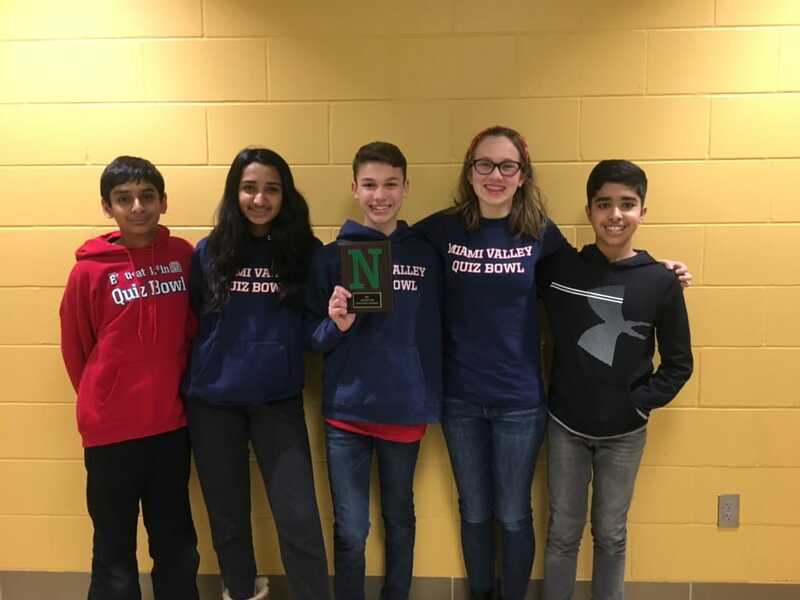 On Saturday, the MVS middle school quiz bowl team competed at the Northmont Middle School Invitational and won the tournament with an 8-0 record. Sixteen teams from seven area schools were represented. The MVS team was comprised of Andrew Holzinger ’23, Lekha Choudary ’23, Hannah Marlowe ’23, Dhruv Sadhu ’23, and Arshaan Kahlon ’24. In the individual standings, MVS had three players within the top 10 scorers: Kahlon (1st overall with 83.75 points per game), Holzinger (3rd overall with 74.38 PPG), and Choudary (8th overall with 48.75 PPG).